Agapé Hospice is South Carolina’s largest hospice provider. 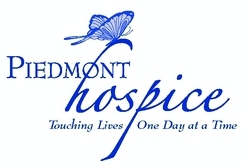 Our hospice is a Medicare/Medicaid-certified full-service hospice licensed to serve all of South Carolina in both home-based and in-patient environments. Agapé Hospice is a special kind of care designed to provide comfort and support in a faith-based atmosphere to people who are facing a life-limiting illness. Agapé Hospice provides care for people with a wide range of life-limiting illnesses, such as cancer, heart disease, stroke, lung, liver and kidney disease, multiple sclerosis, Parkinson's, ALS, Alzheimer’s/Dementia, CHF, COPD, AIDS, or an advanced disease or a continually declining condition. We emphasize quality of life by striving to meet the physical, emotional, social, and spiritual needs of our patients as well as the needs of their loved ones. At Agapé Hospice, For Every Reason…For Every Family…We Will Be There.